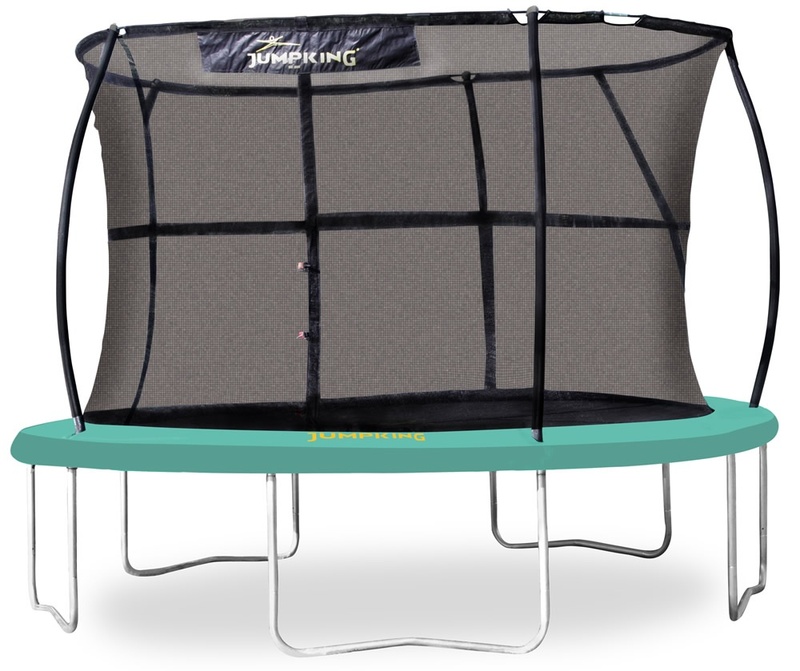 The re-vamped 10ft Jumpking JumpPOD Classic Trampoline is still as popular as ever. The Jumpking JumpPOD Classic range of trampolines has been a best selling trampoline for over 10 years and has recently had a re-vamp. The new updated model is sturdier with 5 solid base legs and the new style 5 curved enclosure poles are now covered with a durable XPE foam. 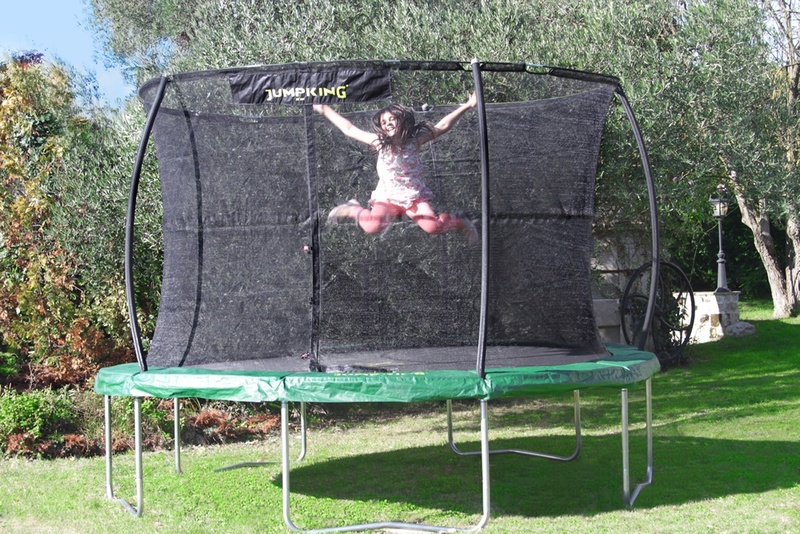 The JumpPod's patented safety enclosure slots straight into the framework of the trampoline meaning no nuts and bolts! 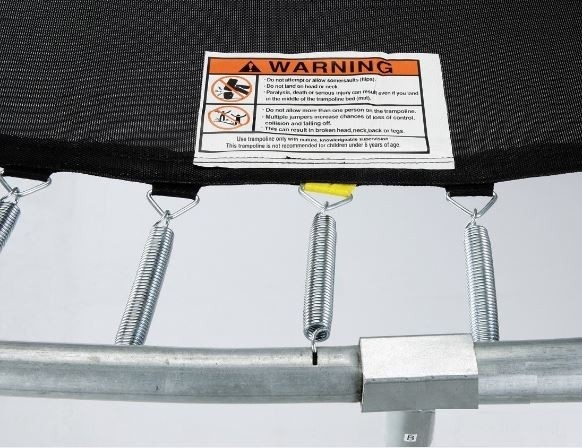 The unique Eurospring design with it's over and under spring configuration, produces less strain on the trampoline and improves jumping performance. I would just like to take the opportunity to congratulate your company for a wonderful buying experience. 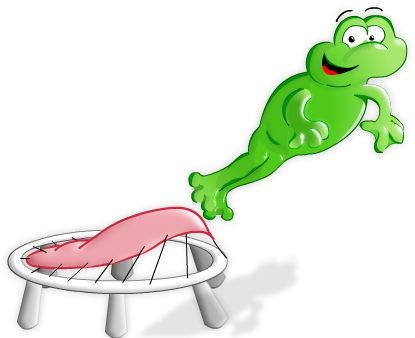 I ordered a 10ft Jumpking Pod trampoline package on Thursday (15/05) The process with your sales colleague Sarah was friendly, easy and extremely swift. I was able to provide additional delivery instructions as I would not be at home to accept delivery. I received a phone call from the delivery company confirming my required instructions at 8.34 a.m. the following morning. I am delighted, and so is my daughter, with the trampoline. I wish all my buying experiences were as positive and pain free as this one was. I would and will, recommend your company very highly to other potential customers. I would be very grateful if my comments and thanks could be passed on to both colleagues in your company and the delivery service you contract to. We wish to express our thanks for your excellent service and to say we are very pleased with the trampoline. We will recommend your company. Here at Trampolines Online, our goal is to supply our customers with high quality trampolines at low prices. The classic 10ft JumpPOD is an excellent trampoline that delivers quality performance and maximum safety. If you have any questions regard the Jumpking JumpPOD 10ft trampoline, please call us on 03333 660062 to speak to one of our assistances. Furthermore to say, that Trampoline Online is one of the top suppliers for online trampolines.